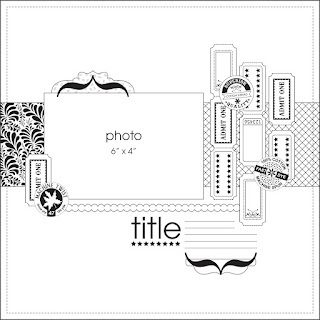 Okay, it's not every day that I get a chance to work with Becky Fleck and design a layout for Page Maps but I guess it was my lucky day. A couple of weeks ago, I was given this sketch, from the March Page Maps. I couldn't resist pulling out an older line of Imaginisce papers for this one. I used the Animal Crackers collection, because of the tickets papers and embellishments. There's also a paper that's filled entirely of connecting circles that would come in handy (after I take my scissors to them) for the line of circles under the photo. The only problem was, I didn't have any photos. I looked at this as an opportunity for a Family Movie Night. It was a win-win because I got the photo I wanted and we spent quality time as a family watching a movie and snacking on popcorn. 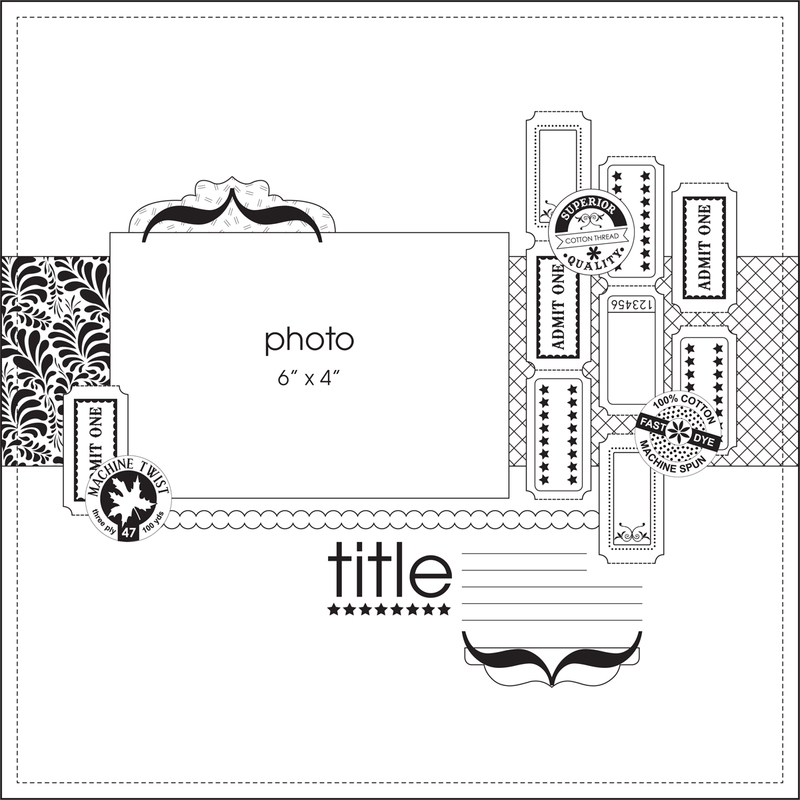 Take a look at the rest of Becky's March Page Maps. There are so many great ones as usual and lots of designer inspiration. Thanks for stopping by today! Wow this lo is happy and great!! love it!! Love this! Great job with the tickets, cute pic — love it all!! This is FUN! !I loveeeeeee the photo, the colors and loving the tickets! 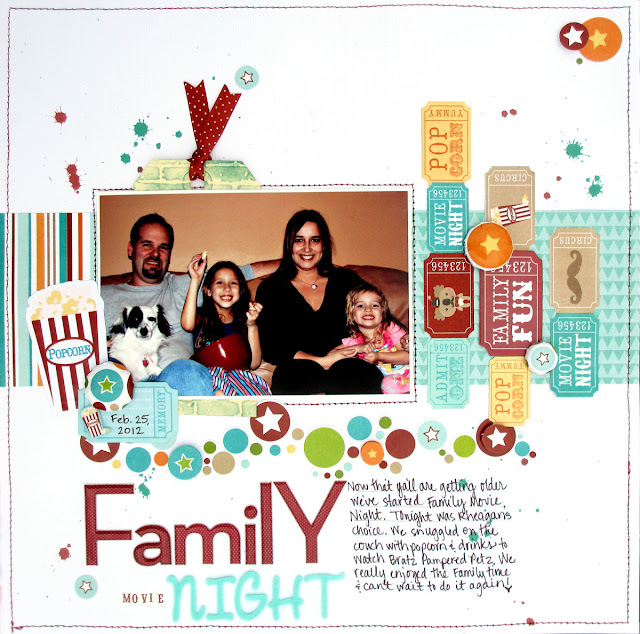 this is such a HAPPY fun layout--GREAt job Heather! Oh I love this! the mist and circles make it look like such a party!